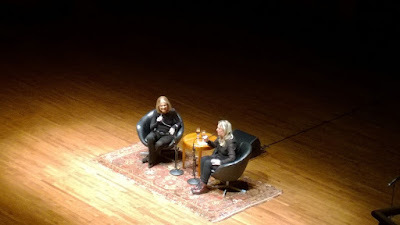 A few months ago I had the privilege of hearing Gloria Steinem on her book tour. Part of her talk was a question-and-answer opportunity for the full-house audience, and the audience was instructed to ask short questions so that many would have a chance to address Steinem. Of course, many people in their questions wanted to recount when they last heard Steinem, or to thank her, or to speak of their own consciousness-raising, all of which extended the individual questions. I'm sure some of us were frustrated, because we wanted to hear more of Steinem's voice, but it was clear that Steinem wanted to hear all of the stories. On stage, she spoke of the importance of stories, and in her book My Life on the Road, she describes how the stories she heard in talking circles, among women, among Indian villagers, inspired her life's work as an advocate for social change. Hearing people's stories helps her see how people live and what they need. Story-telling and story-listening have served Steinem well. We use stories in teaching too. A colleague uses 'stories' as a class theme, while I have introduced and assigned the story-telling method in my courses this past fall to help students see the narrative arc of the course they were in and the articles they were reading. (See Cal Newport's post on The story-telling method.) I have also scheduled a series of speakers this upcoming quarter, to give my students the opportunity to hear people's stories, of lives lived without homes, or without legal papers, or without easy command of language, so they may better understand social inequality and the importance of social justice. Using narratives to communicate ideas is nothing new. We use it in education, in our presentations of culture, even our politicians use them. The narrative thread presented by stories help us follow and discover, as we learn academic concepts, read difficult texts, or learn about a process or culture or messages. Just the other day, I followed a storyline myself, at a natural history exhibit at my hometown museum, on how raptors are captured for tagging by wildlife biologists along the coast, and why it is done. (See Coastal raptors, at the Polson Museum in Hoquiam, WA.) The idea of the narrative is so common right now that the NY Times recently featured a discussion of it, in a recent First Words column. (See Leibovich, Dec. 8, 2015, When the narrative becomes the story NY Times) Leibovich however suggests that real stories are on the wane, that what we have now, especially in politics are the idea of stories, of narratives, to show that certain politicians possess the requisite skills and presence to lead. I think real stories still matter. They are a way to reconnect and re-establish social ties. We hear stories over the holidays, as we enjoy meals and libations together with family and friends, or as we read through holiday letters and cards. Some stories we've heard over and over, like the one about the Christmas when..., while still others are new ones, and not always happy ones, but stories all the same. Some relate to other stories, like my dad's story that he recounted on New Year's Eve--of the three kind men who stopped to change his flat tire this fall and did it so quickly he barely had time to thank them. Such a story can take us in myriad directions, to stories of other kindnesses, or other flat tires (it does appear that there is a small epidemic of these in our social circle at the moment). 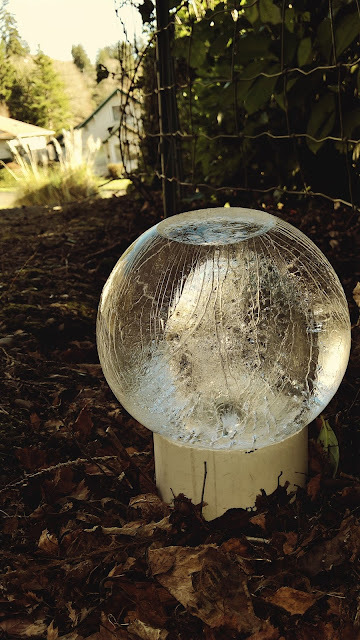 And what do many of us do on the first days of the new year, but imagine, as if looking into a crystal ball, the story of the year to come? What will be the next chapters in the grander narratives that represent each of our lives?